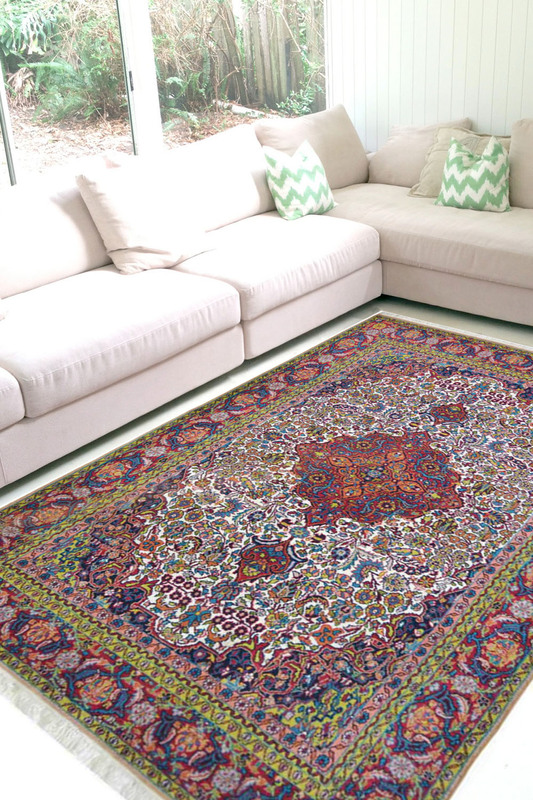 - The Kashan Numa has a unique pattern and the design has been originated from a province in Persia called Kashan. - Kashan was a major carpet making hub in the late 19th century. - It has been perfectly woven in a mix of pure silk and the best wool with an extremely intricate pattern. - Primary colors are maroon, green, blue and yellow on an ivory background. - The center has a tiny medallion motif with a pendulum-like design while the border is intricately woven with a detailed floral pattern. - Our recommendation is to use this rug in a less conducive traffic area due to its fineness and superior quality.